Ankauf und Verkauf von Waffen und Munition: Peller.Enterprise. Please visit our eGun auctions. purchase and sale of arms and ammunition.  For over 10 years Peller Enterprise is the number 1 in the purchase and sale of arms and ammunition of any kind. Competent, reliable and fair. Whether non-seller or liquidity crunch, we buy complete liquidations. Whether dead files, overstock or test and sample items - Just get in touch with us! Furthermore, we buy hunting and sporting long and short arms, single items, complete resolutions, weapons collections and discounts, free weapons and muzzle loaders. Edged Weapons, Optics, Weapons Accessories, Ammunition, Ammunition collections. We guarantee you a discreet and secure processing of your arms sale with immediate cash. For single pieces or small quantities, you can come to us, we will estimate your weapons in our factory. Alternatively we can send you appropriate packaging material with a return envelope to so that you can send us your goods for valuation purposes. We will gladly take your goods in commission and sell it on your behalf at the best prices on commission. Simply use our contact information! Sweeps in your purchase documents either immediately on site and we assume at the request of the official releases. Please refrain from quotes from! We can not make any prices of goods which we have not seen before. The prices are affected by the condition, age, and the prevailing market situation. Since we are a very strong export-oriented company and abroad better prices than in Germany are to achieve our offer should be interesting for you! The information provided on this website has been carefully checked and is updated regularly. However, no guarantee can be given that all information is always complete, correct and up to date. All data can be changed, removed or updated without notice. Use of this Web site is at the user's own risk. Named contributions reflect the opinion of the author and not necessarily the opinion of the provider. The mere use of this website does not create any contractual relationship between the user and the provider. By visiting the website information about the access (date, time, page viewed) are saved. These data are not personal data, they are anonymous. It is used solely for statistical purposes. Disclosure to third parties for commercial or noncommercial purposes, does not take place. The provider expressly points out that data transmission over the Internet (eg communication by e-mail) security gaps and can not be completely protected against unauthorized access by third parties. The use of contact information for commercial purposes is not allowed, unless the provider has given his written consent or there is already a business relationship. The provider and all persons named on this website contradict any commercial use and disclosure of their data. Copyright©2015 Peller Enterprise - All rights reserved. You can contact us by calling +49 (0)208 66 37 59 from monday to thursday 10:00 am to 16:00 pm and friday 10:00 am to 14:00 pm. After sending this formular you will redirect automatically to our index page.